Hi everyone! 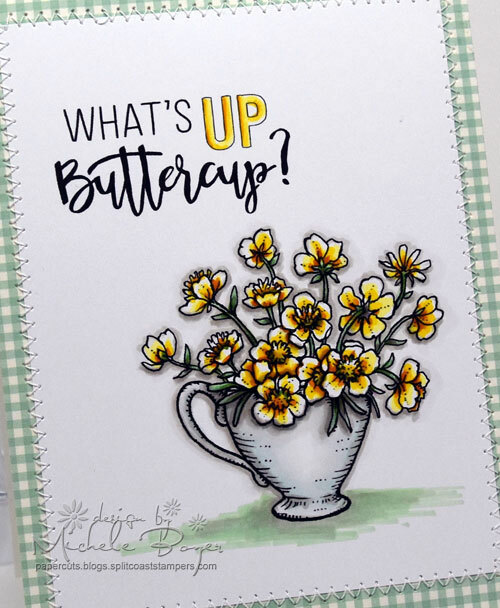 I so very much enjoyed coloring Power Poppy‘s Countryside Bouquet digital stamp (here), I decided to try another. 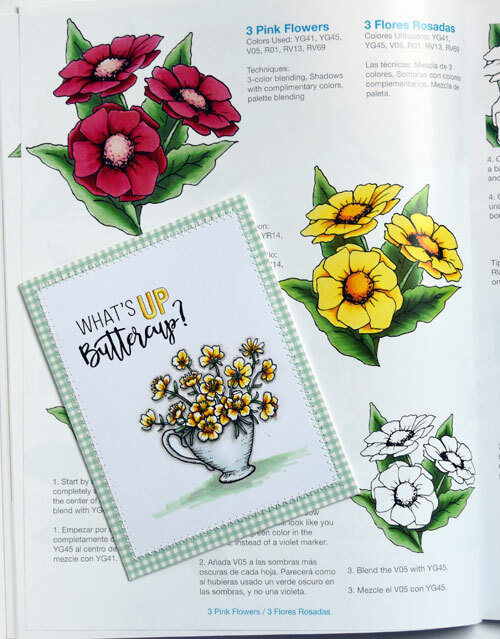 (I want to color more flowers.) 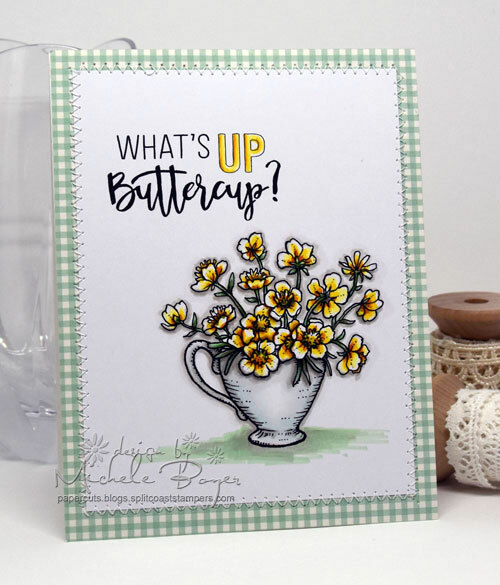 This time I used Cuppa Buttercup. 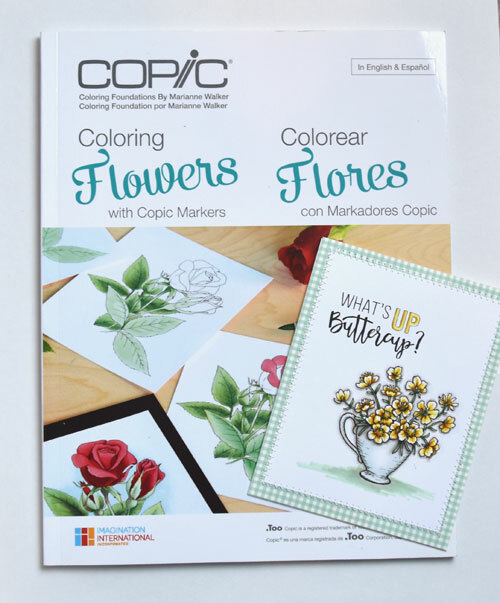 I also returned to Copic’s Coloring Foundations – Coloring Flowers with Copic Markers for coloring inspiration. I used the buttery yellow marker combination shown below as well as the suggested (YG) greens for the leaves. One thing I learned from the book today is that shadow can be added to leaves using a V05 marker. Layering V05 over the green creates a deeper green shadow, not violet at all. I thought that was interesting. I never would have thought to try that on my own. To create the bluish/gray cup, I lightly colored with BG70 and BG10 then warmed the color by layering W00 and W1 over top.